From last few weeks, I have been trying to figure out a way to display perfect set of related posts at the end of my each article. I have tried almost all the ways to check which works good for my blog. 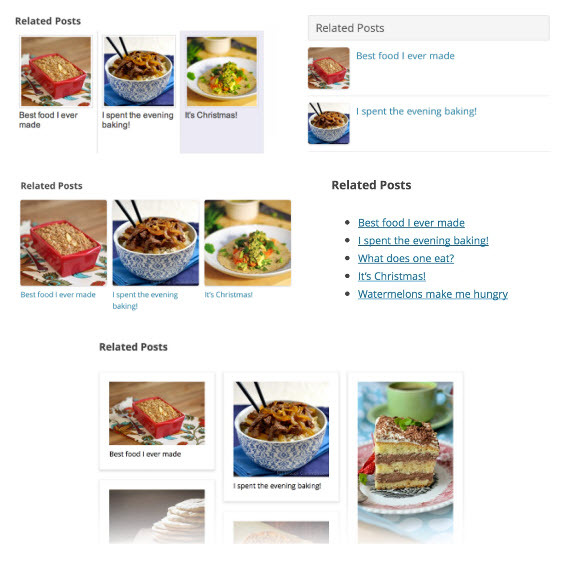 The few things, which I tried are: First I manually edited my theme’s template to show Related posts with thumbnails in WordPress without plugins but It was randomly fetching the posts based on the category/tags rather than the related posts so I switched back to YARPP which is one of the best related posts plugin for WordPress so far. 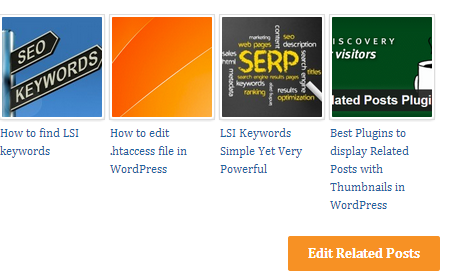 During this phase, I came across this Awesome plugin called related posts by Zemanta. I couldn’t resist myself from trying this plugin. It provides the statistics for CTR, PageViews and number of clicks happened on related posts in last 30 days. This is a great feature, which none of the plugin so far provides. It helps you keep the track of how well your related posts are performing on your site. You can see these statistics right away in your WordPress dashboard. It provides a “edit related Posts” button to the admin, which helps you select the different posts other than already displayed, if you believe that the currently displayed posts are not related. This is how it looks for admins. Don’t want plugin to display posts automatically? Use the below code in your theme’s files, where you want to display the related posts widget. You can exclude certain categories from being displayed as related posts. You can alternatively turn-off the statistics, if you do not want to keep the track of it. It can display Related posts in the feed too. You can choose the custom field from the drop down for thumbnails, Zemanta automatically fetches all the available custom fields from the theme’s template. Gives the ability to upload default thumbnail image for the posts which doesn’t have any thumbnails. You can optionally select to display number of comments, post’s publish date and posts excerpt along with thumbnails. Can customize number of related posts to be shown. You can modify the CSS for related posts in the plugin’s settings page, no need to edit the theme’s CSS file. All the above features can be customized differently for Mobile phones (for mobile users). Let’s us know whether you like this plugin or not. Also, please drop a comment below if you have anything to say regarding this plugin. Is Zemanta related post plugin is same content ads plugin from Zemanta?